Makaha- the mojo here is heavier than the water off her shores. A revered epicenter of waterman culture that has nurtured many modern day Ocean Sport legends, and site of the 2010 OXBOW ASP Long World Championships. A very special place, and very special day for the family DeSoto. Duane DeSoto did it. 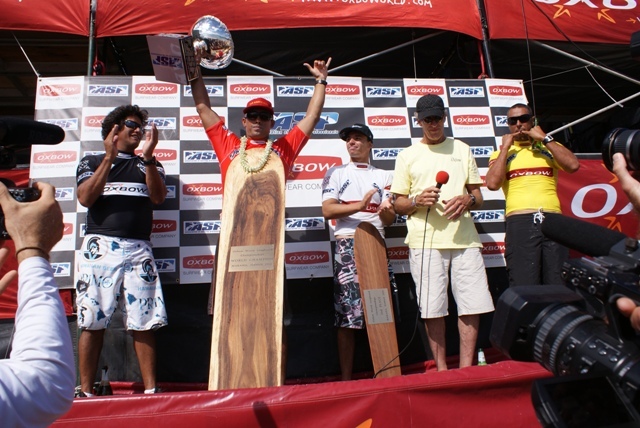 He is the World Champion of Longboard Surfing, clinching his first ASP World Longboard Title after 17 years of competition. Even sweeter for Duane, is that he won at his local break where he and most of his family grew up, and who were on site in force to cheer him on. Duane faced off with the best in the world, including overly impressive Frenchmen Antoine Delpero, who placed second overall. 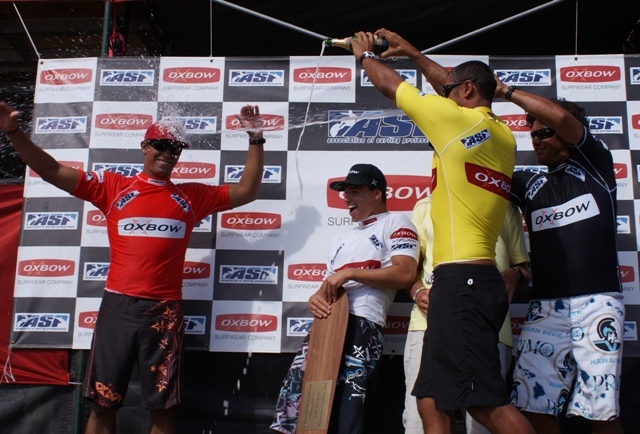 Duane also edged Hawiian surfer Bonga Perkins, a previous two-time ASP World Champion who took third place. 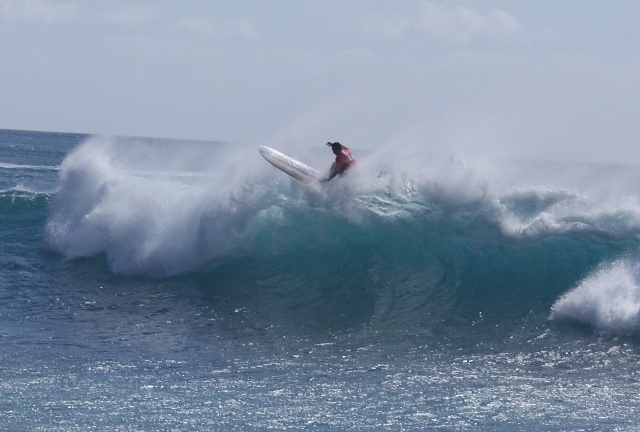 Local Makaha legend Rusty Keaulana, a past ASP World Longboard Champion, also competed and mezmorized all with his classic longboarding “Jedi” mastery. 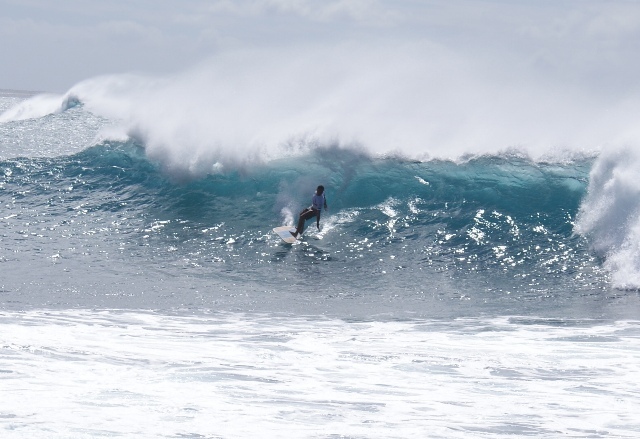 Solid four to six foot waves graced Makaha Beach, offering good conditions for most of event. Passing strong winds offered a formidable challenge. Duane surfed strong and consistent. 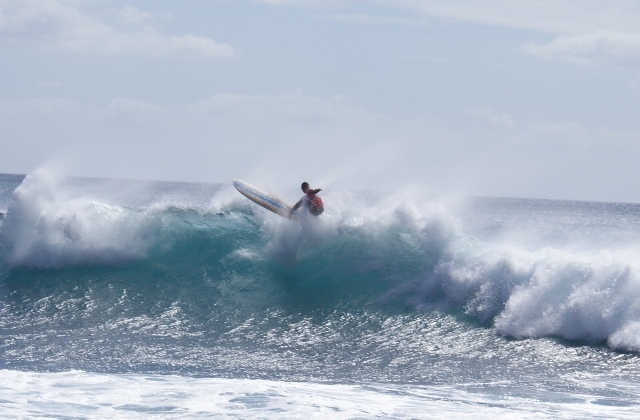 It is amazingly impressive to watch a world class surfer go all out in completion- strength, balance, timing, aerobic and anaerobic fitness all maxed. Planet Sun was on site supporting the event with suncare relief for the masses in the searing Makaha sun. All language barriers of the international crowd broken by the english word- Sunscreen! We also took opportunity for some “real world” testing of some of our gear. 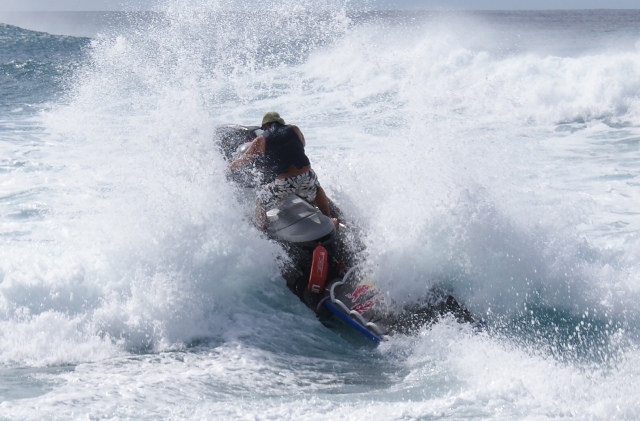 Legendary waterman Pake Ah Mow was on site providing Ocean Rescue support for the event. We outfitted Pake with our Sunphibian Hat and DragonFly Topwater sunglasses. Our Sunphibian Hat due for release in early 2011. Extra credit pics of Pake in gear and in motion on ocean attached. Planet Sun proudly sponsors Duane and his “Na Kama Kai” program. 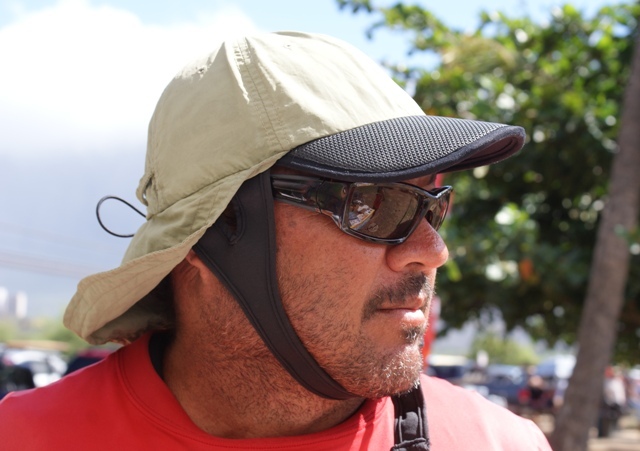 Duane is big fan of Planet Sun Topwater sunglasses- out of sheer need. Duane has been struggling with pterygium and the melanin polarized lenses we feature in our eyewear provides some of the best protection available against pterygium and other sun related eye damage. Beyond lens technology, other design attributes such as floating frames, integrated leashes and hydrophobic coatings make our topwater eyewear what is. Incidentally, the hydrophobic coatings also shed champaign as well as saltwater, as one of the attached pics demonstrates.